How To Count Fetal Movements? Home » Health » How To Count Fetal Movements? The first tangible perturbations of the fetus are a very quivering and exciting moment for every pregnant woman. It is from this day that the interaction of the future mother and her baby begins: by the pushes of the baby in the womb, one can determine the periods of his activity, predict temperament and character and, most importantly, diagnose the degree of the well-being of a developing pregnancy. That is why from 28-30 weeks up to the birth, leading obstetricians and gynecologists recommend counting fetal movements according to various schemes. Why is such a manipulation necessary, how to carry it out correctly and in what cases is it worth worrying? Let’s look at the main methods of perinatal diagnosis, based on the frequency and intensity of movements of the baby in the womb. 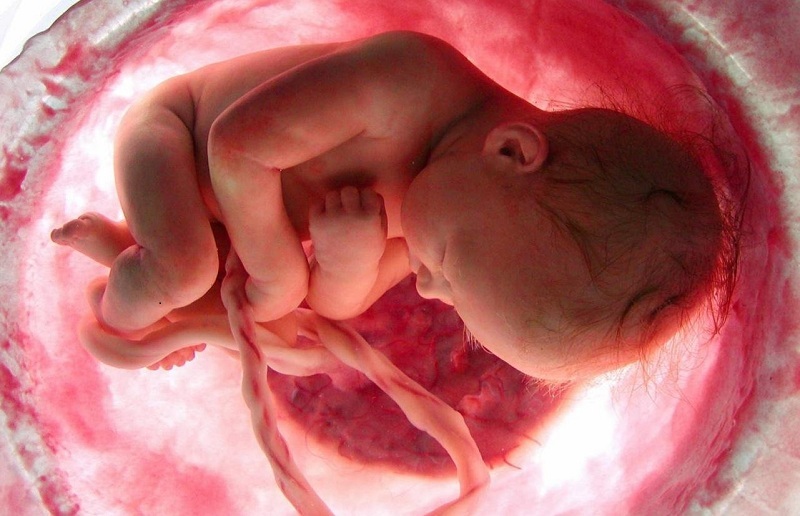 The first uncertain movements of the fetus begin to register as early as at 8–9 weeks of gestation, when nerve fibers appear in the developing organism, capable of transmitting impulses, and muscle bundles regulating mobility. True, such movements are not coordinated yet, and it is quite problematic to consider them, because the fetus is so small at this time that it does not touch the walls of the uterus, even if it is actively “dancing”, therefore the mother simply does not feel it. In the process of growth and formation of the nervous and muscular system of the fetus, the movements become more predictable and coordinated: the baby reacts to the foods eaten by the mother, the uncomfortable position, the ultrasound sensor, loud sounds, and other external stimuli, starting to be intensively thrashed with small legs. From about the 20th week, such movements do not go unnoticed, because, having gained strength, the crumb can already manifest itself. During the first pregnancy, inexperienced future mothers are not yet familiar with the sensations that accompany the first movements of the fetus, so they are often mistaken for intestinal motility or increased gas generation. Therefore, multiparates begin to clearly recognize the activity of the baby about 10-14 days earlier, that is, for a period of 18 weeks. The more excitable the nervous system of the expectant mother, the earlier it will turn out to correctly consider the movements of the child. No less important parameter is the degree of tactile sensitivity of the patient. Women with a high pain threshold rarely recognize the first movements on time – as a rule, this process is delayed for 1-2 weeks. Conversely, a lady who feels a slight breeze is unlikely to miss even a slight swaying of the walls of the uterus. The number of extra pounds reduces the likelihood of early counting of fetal movements. As a rule, girls with curvaceous beginnings start counting the pushes of a child a little later than those whose weight is within the normal range or below. The role of attachment of the placenta plays a significant role. If it is located on the front wall, it will be problematic to consider fetal movements at first. Nevertheless, by the 22nd week, each successful pregnancy is accompanied by at least barely perceptible, light pinches, or even by full blows to the abdominal wall or on the internal organs of the mother – so the child begins to show his temperament and the first attempts to establish contact. In addition to the features of an organism of a pregnant woman, this period may slightly change depending on the psychological characteristics of the fetus – if some infants are infused with a sedentary, phlegmatic nature, they will not be too active in the uterus. And vice versa: nimble kids begin to kick actively much earlier, so in this case, it will be easier to count the movements. There are many systems and approaches that allow you to assess the status of the fetus according to the degree of its activity in the womb. However, in modern women’s clinics, only three of them are the most popular – Pearson, Cardiff, and Sadowski. Which of them is preferred, the obstetrician-gynecologist will tell, depending on the individual characteristics and history of the pregnant woman, as well as her own practice? We will consider in detail each of the possible options to help the pregnant woman independently navigate the features of the recommended method. The start time of the test is marked. Most exchange cards have a special table with examples and detailed instructions, already drawn up taking into account the features of such a counting technique if not, you can print a sample from the proposed photo and then paste or redraw it into an exchange. Then, in a separate window, any activity of the baby is recorded, except for hiccups (that is, pinches, pushes, coups, and other movements). Moreover, perceived as a separate unit is a cycle of simultaneous movements (that is, for example, a coup plus a push, etc. ), and not each of them separately. The completion of the study is the time of the tenth cycle of the motor activity of the fetus. The ideal result is the twenty-thirty-minute interval between the first and tenth movements of the fetus in the uterus – in this case, the crumb is quite active, which indicates its well-being. If it took a little more time to achieve the desired result (about an hour), this is also okay – perhaps the baby just rested. If the tenth perturbation is delayed, try to provoke the fetus to vigorous activity, and if there is no result, consult a doctor for further diagnosis. This method is not much different from the Pearson method, but it has a softer framework for assessing the result. In this case, only the first 10 movements per day are considered informative: if they are completed in less than 12 hours, there is nothing to worry about. 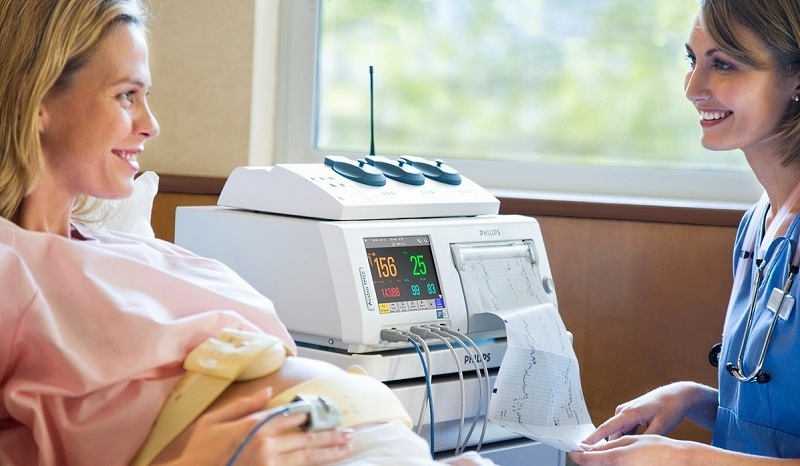 If the activity is sharply reduced, and the tremors do not appear more than half a day, it is worth visiting a gynecologist and CTG to assess the fetal heartbeat. Consider fetal movements by the method of Sadovsky should be within 1 hour after a meal (usually breakfast). Ideally, during this time, the crumb must make at least 4 motorcycles – this tells him about the prosperous development. If 4 counts per hour could not be counted, it is necessary to continue the study for another 60 minutes: during this time, a total of 10 movements should be obtained, but no less than 4. A lower result may be a reason for contacting the antenatal clinic. In addition, noting changes in the motorcycle on a piece of paper, a pregnant woman can analyze the slightest changes in the behavior of the baby, predict its biological cycle, learn in advance about the temperament and activity of the baby and assess the degree of its well-being. For example, information is considered not only a specific time indicator but also its sharp change in one direction or another. If the baby had a calm temper, and on a certain day he began to behave atypically, violently and intensively pushing, or, on the contrary, an excessively active fetus was unusually hidden, you should consult a doctor and pass the appropriate tests – perhaps this signals the development of hypoxia. How to affect the activity of the crumbs? Times of Day. The greatest number of movements is recorded in the evening and night hours when the pregnant woman assumes a horizontal position or rests. The fact is that during the day the toddler likes light swaying in the amniotic fluid, which occurs when the future mother moves. And when she calms down, the smart little one starts to “push” her to active actions or to create oscillatory waves himself. Physical activity of the pregnant. Similarly, the frequency of fetal movements varies depending on the lifestyle of a woman: the more she moves, the less she feels the jolts, and therefore cannot count them. As a rule, the fruit is activated immediately after eating, especially sweet and tasty. If the pregnant woman, for whatever reason, had to skip lunch, the crumb could subside for a while. Psychological factor. When the mother is in tension, is experiencing or is afraid of something, the fetus instinctively subsides, so it is difficult to consider perturbations under stress. Sound background. 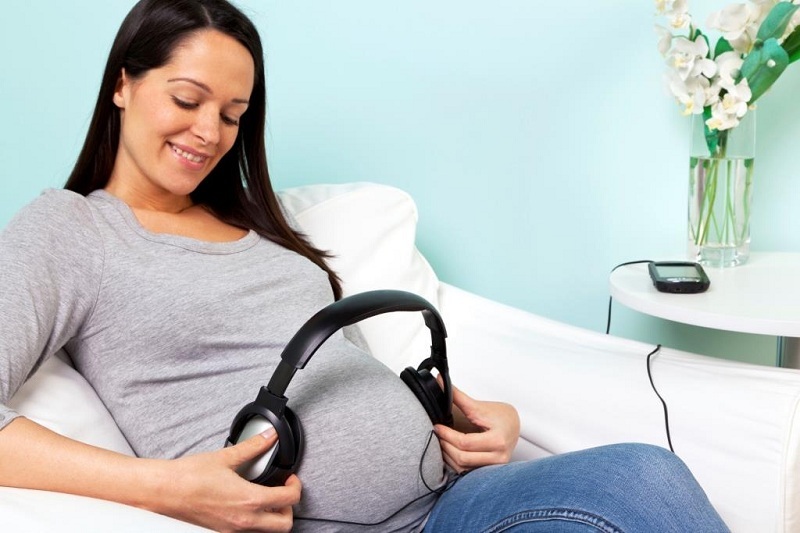 In the middle of the third trimester, the baby already clearly distinguishes sounds and reacts to them. The measured, pacifying classical music can calm the little one who has stirred, and, on the contrary, loud, harsh and annoying sounds scare. All these features should be taken into account, intending to consider the frequency and intensity of fetal movements. If the child has calmed down for a while, you should not immediately sound the alarm: try to eat something sweet, lie on your back or on your left side, try to relax and calm down as much as possible – and the child will soon make itself felt with tangible pinches. 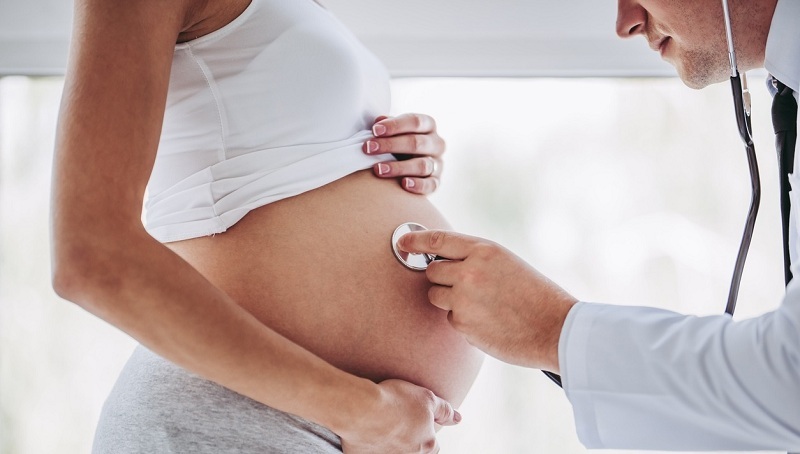 If this does not happen during the whole day, despite all your efforts, you should still consult a doctor – he will conduct additional diagnostic tests to assess the condition of the fetus. Despite the fact that modern diagnostic procedures make it possible to evaluate the course of pregnancy to the smallest detail, gynecologists are in no hurry to refuse to evaluate fetal movements activity and recommend counting perturbations daily after 30 weeks. The fact is that even cutting-edge ultrasound, CTG, and other medical manipulations speak about the state of the crumbs in a particular period of time, but, unfortunately, cannot accurately predict his well-being in the future. Therefore, a daily test, even if not the most accurate, is mandatory – according to it, the expectant mother can feel whether everything is going according to plan, and if necessary, promptly ask for help. Previous post: Thank you for being a friend. Next post: Why Do Sweating Hands?